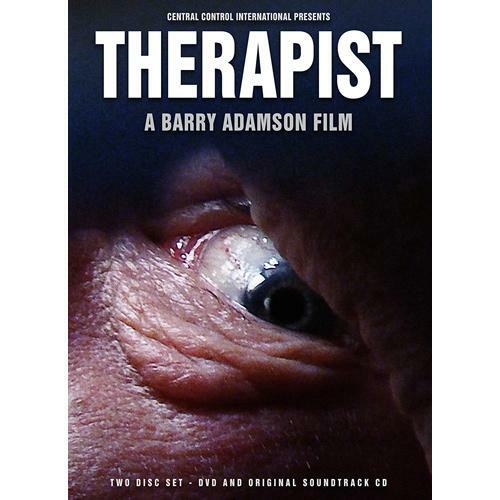 Debut film by acclaimed musician Barry Adamson. 2 disc set: DVD (40 minutes film, bonus features) + CD soundtrack. Therapist tells the story of Monika, a Polish immigrant searching for her sister, who encounters both tragedy and destruction. But is her story real or the metaphor for another man's emotion, a story straight from the therapist's couch? A truly metafictional experience, the film, with its looping narrative and world within a world structure, focuses on our experience-as-reality and the contradiction between memory, fantasy, truth and the experience of life itself... Annabel Grundy. Therapist stars David Hayman (Trial & Retribution, Hope and Glory, The Boy in the Striped Pyjamas ), Ray Fearon (Kenneth Branagh's Hamlet, Lulu & Jimi, Harry Potter), Ofo Uhirara and introduces Iza Sawicka and has been screened at the East End Film Festival, the Brighton Film Festival and the Yach Film Festival (Poland). Warning: this film contains strong language, violence, scenes of a sexual nature and scenes of peril. For audience aged 18 and over. DVD is PAL all regions.